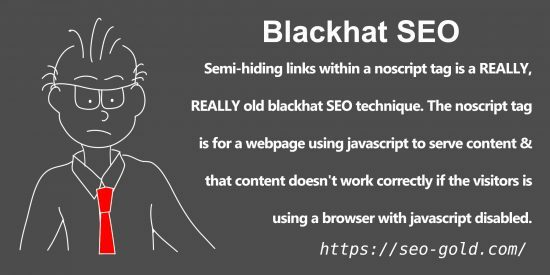 Semi-hiding links within a noscript tag is a REALLY, REALLY old blackhat SEO technique. Flash based content is a good example. 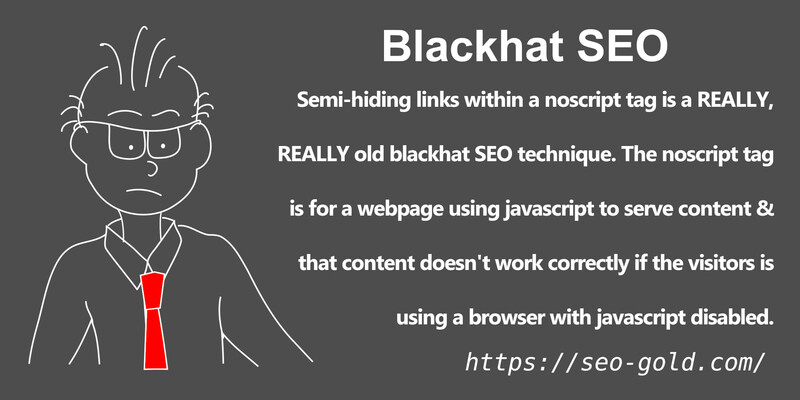 Using noscript to hide links for SEO gain is blackhat SEO link SPAM.